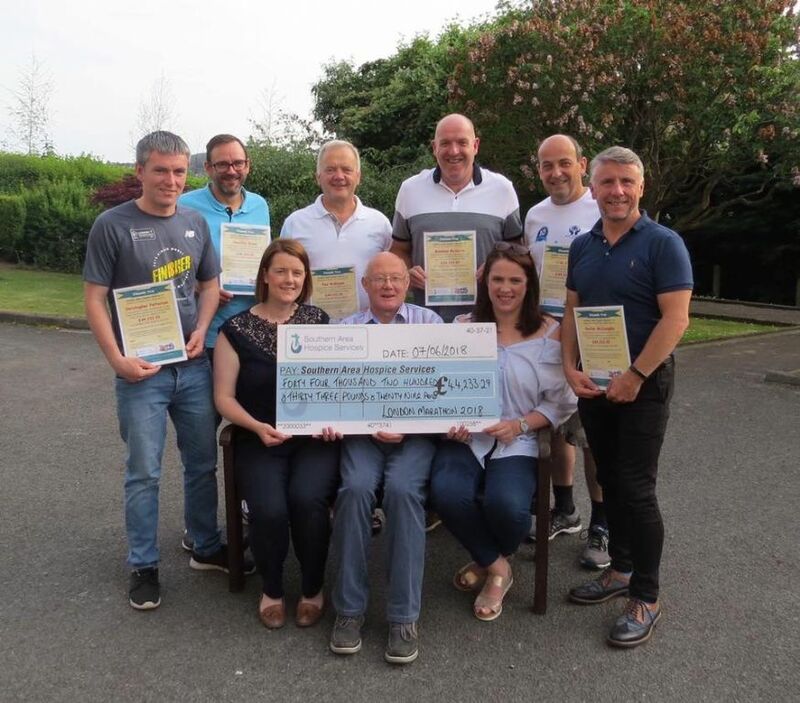 12 June 2018 A team of local runners took part in the Virgin London Marathon on Sunday 22nd April 2018 and between them raised a fantastic total of £44,233. 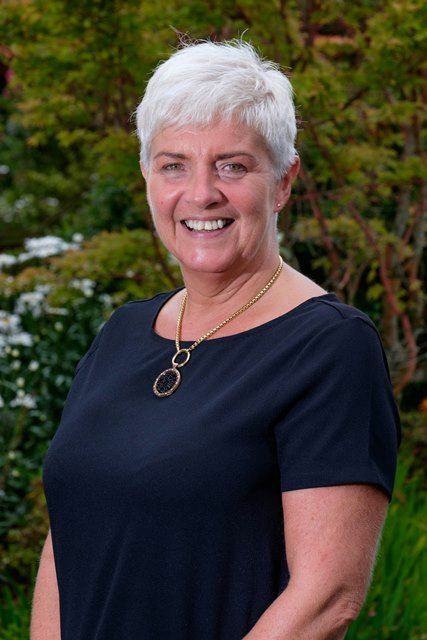 11 June 2018 The Board of Directors, Staff and Volunteers of the Southern Area Hospice, wish to congratulate our CEO Mrs Liz Cuddy on receiving an OBE in the Queen’s Birthday Honours List which was announced over the weekend. 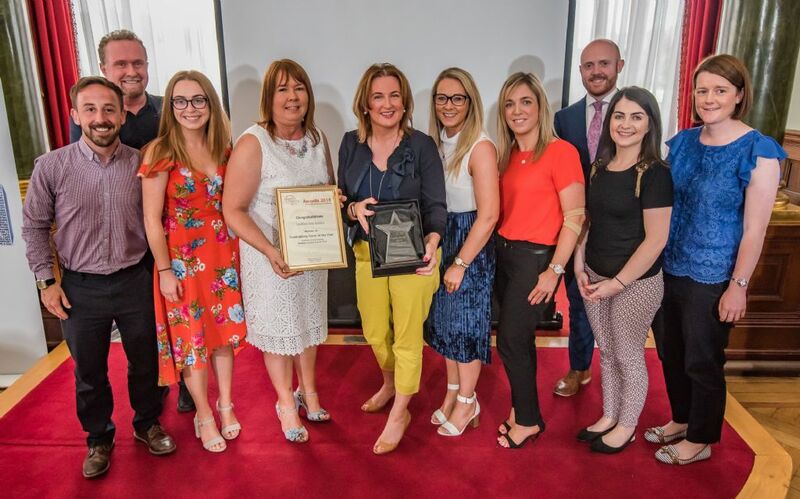 7 June 2018 The Fundraising Team at Southern Area Hospice Services was awarded ‘Fundraising Team of the Year’ at the Institute of Fundraising Awards on Tuesday 5th June. 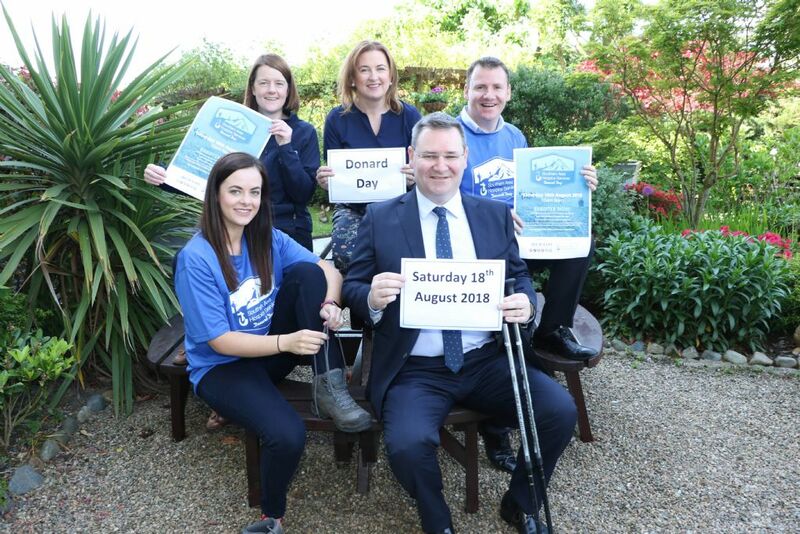 7 June 2018 Southern Area Hospice are calling on adventurous souls to sign up for their Annual Donard Day Challenge which takes place on Saturday 18th August 2018 in association with main sponsor, CRASH Services. 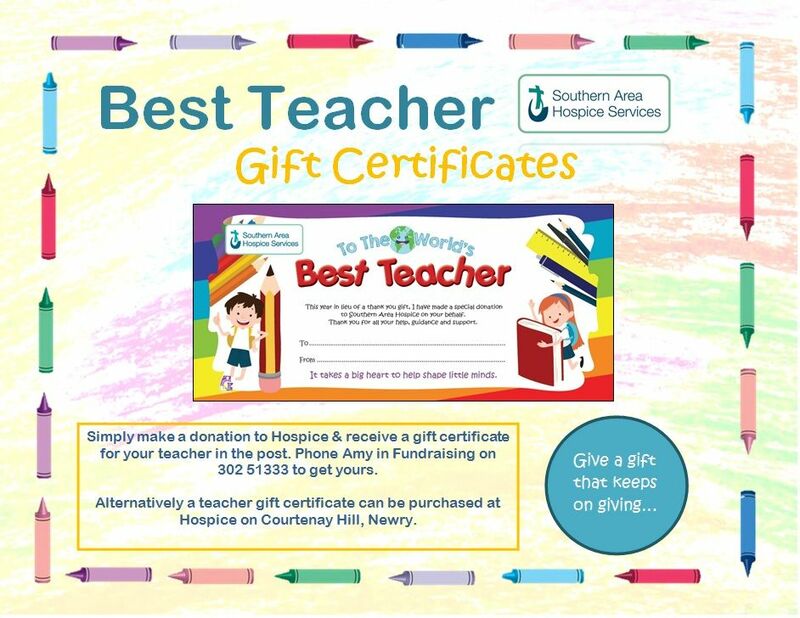 6 June 2018 As the end of the school year approaches, why not show your appreciation for your favourite teacher for all their hard work while supporting your local Hospice. 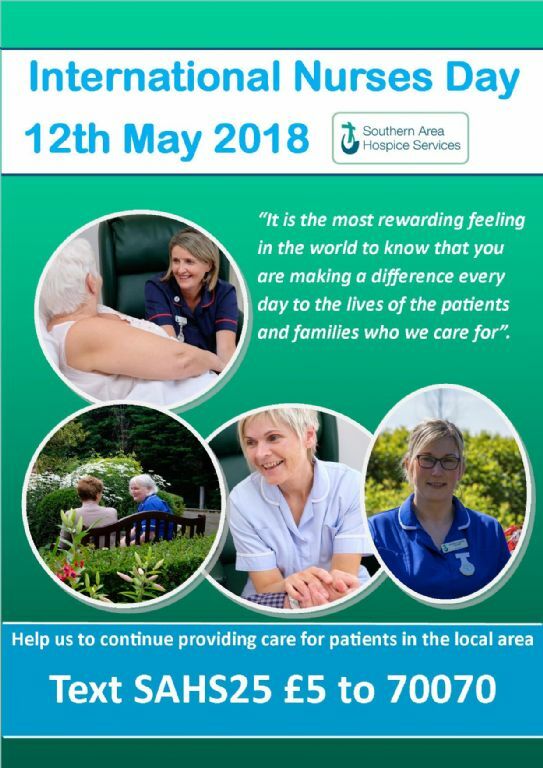 1 June 2018 Southern Area Hospice Services will be celebrating Volunteer Week from 1st – 7th June and celebrating the dedication and commitment of all the volunteers who give of their time to help their local Hospice. 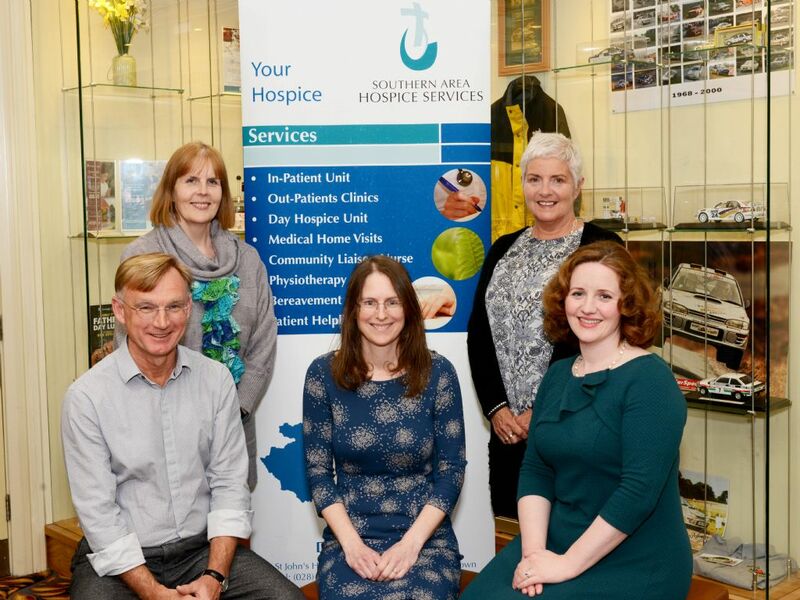 28 May 2018 Southern Area Hospice Services along with the Southern Health and Social Care Trust and the local GP federations has hosted a master class to support GPs, Pharmacists and other staff working in the out of hours period providing palliative care. 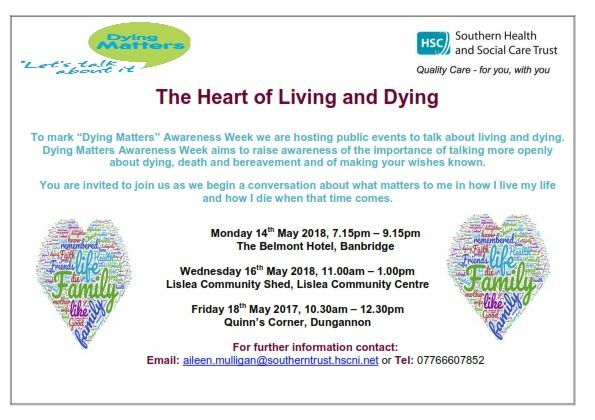 14 May 2018 Southern Area Hospice is linking with Southern Health and Social Care Trust to mark “Dying Matters” Awareness Week which takes place from 14th – 20th May. 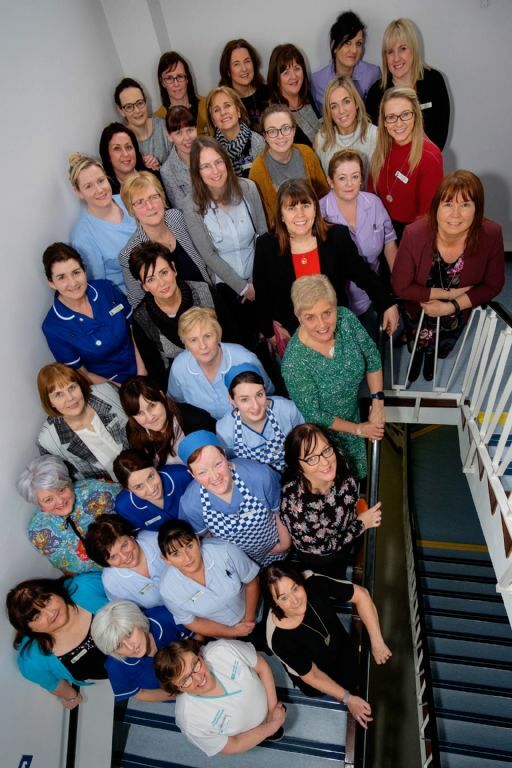 12 May 2018 Today marks International Nurses Day, an event that's celebrated all over the world to highlight the contributions nurses make to society. 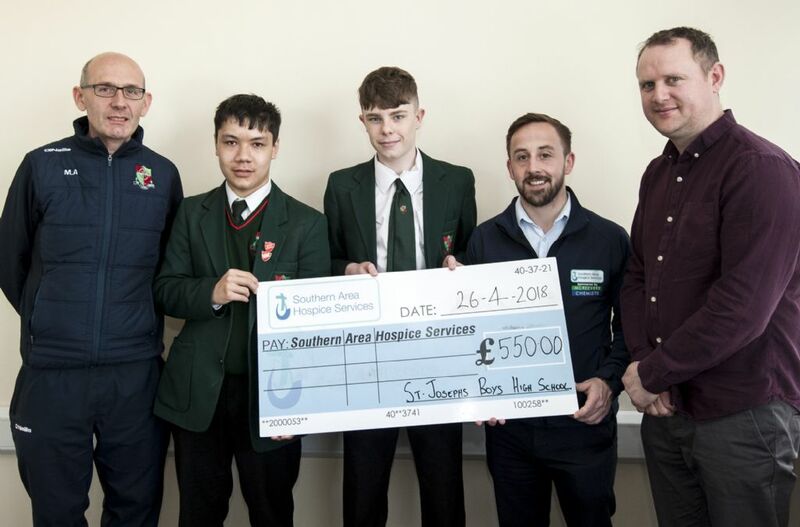 4 May 2018 Thank you to Year 12 students Kealon Blair, Anthony Hutchinson, Oleg Kuznecovs, James Marron, Sean Mc Camley, Jack Murphy and Jamie O’Neill from St Joseph’s Boys’ High School, Newry who have been praised for organising a non-uniform day, raising £550 for the Southern Area Hospice. 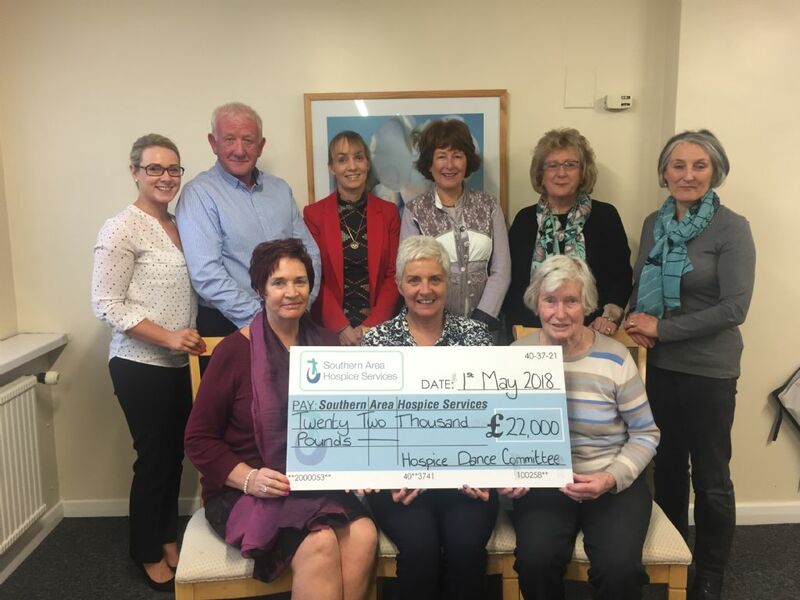 2 May 2018 A huge thank you to the Hospice Dinner Dance Committee who have raised the fantastic amount of £22,000 after their 48th Annual Hospice Gala Ball on 23rd March with a full house in the Canal Court Hotel & Spa. 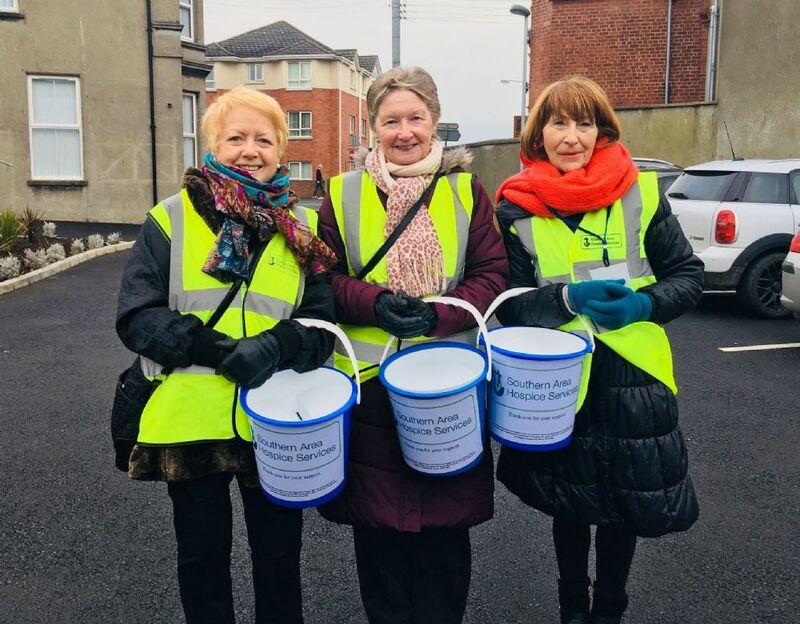 26 April 2018 Thank you for helping us to raise vital funds by contributing to the following street collections across the Southern Trust area. 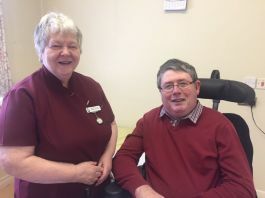 23 April 2018 Today marks the start of ‘Multiple Sclerosis Week’ from Monday 23rd to Sunday 29th April and this year we are celebrating the wonderful people living with MS who benefit from our services both at Hospice and in the community. 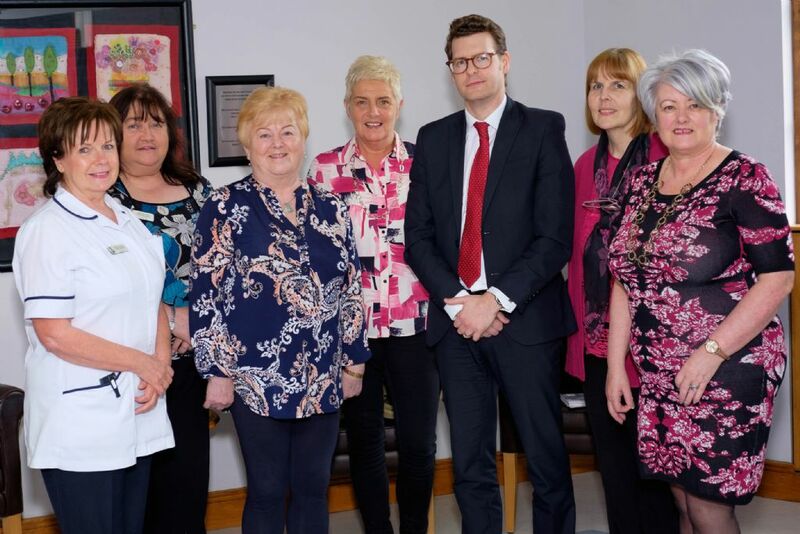 20 April 2018 Southern Area Hospice Services recently welcomed Nick Goldup, Director of Care Improvement at the Motor Neurone Disease Association and Siobhan Rooney, Trustee on the Motor Neurone Disease Association National Board to visit the Hospice and take a tour of the facilities. 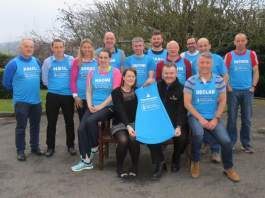 13 April 2018 A team of local runners are set to take part in the Virgin London Marathon on Sunday 22nd April 2018 to help raise funds for Southern Area Hospice Services. 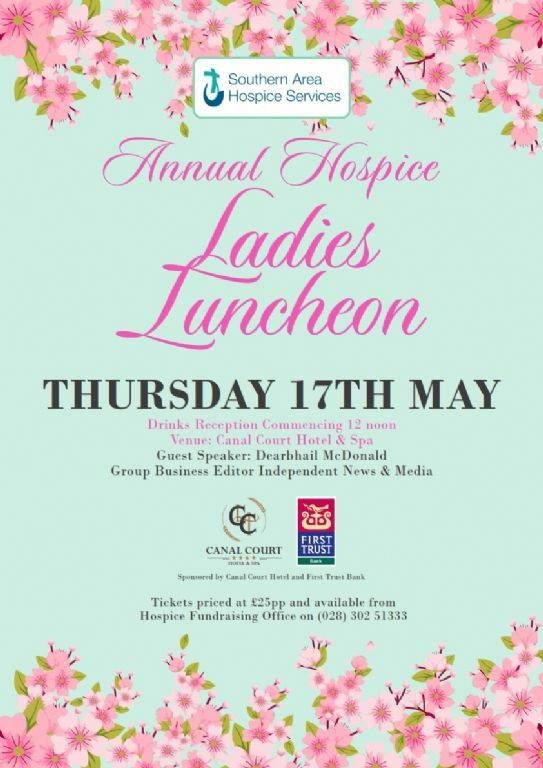 12 April 2018 Southern Area Hospice Services are pleased to announce that their Annual Hospice Ladies Luncheon will take place on Thursday 17th May in the Canal Court Hotel & Spa, Newry. 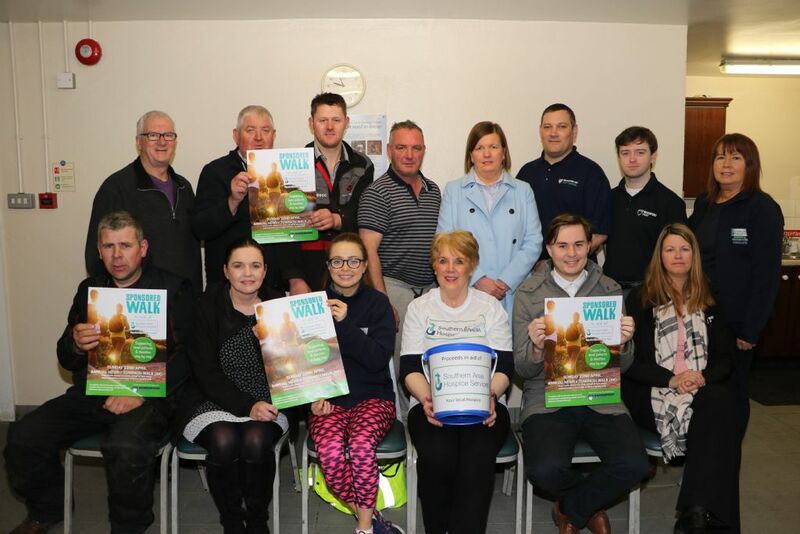 16 March 2018 Get your friends and family together and join us on Sunday 22nd April for the 27th Annual Hospice Towpath Walk. 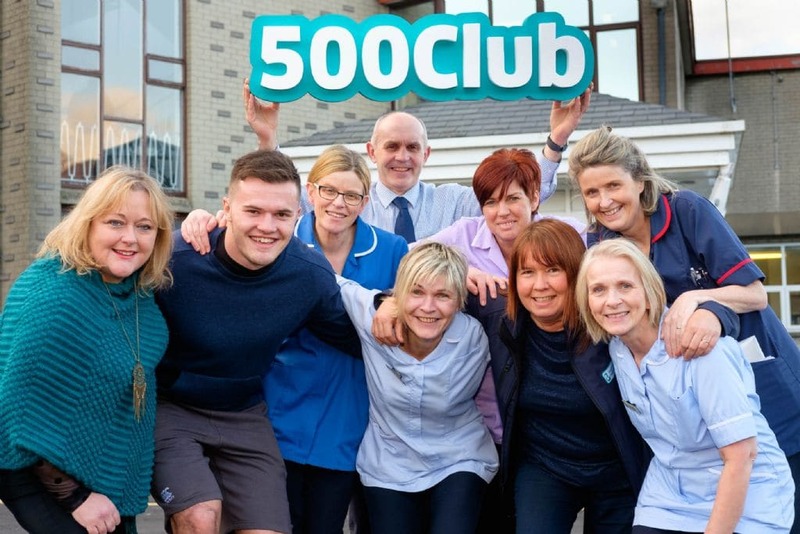 15 March 2018 Southern Area Hospice Services had an important visitor recently, just prior to his outstanding performance against Wales in the Natwest Six Nations in Dublin. 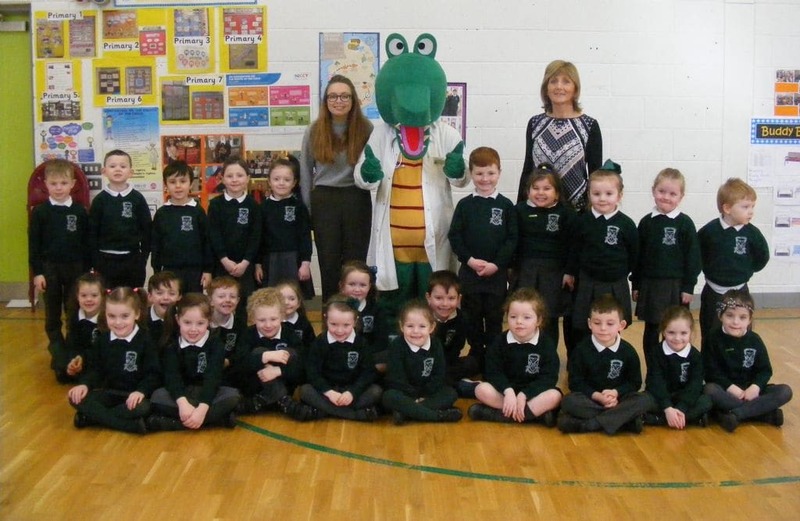 13 March 2018 Our very famous Croc The Doc visited Carrick Primary School in Burren today and gave the children a general overview of Hospice care. 8 March 2018 Celebrated each year on 8th March, International Women's Day is a global day celebrating the social, economic, cultural and political achievements of women. 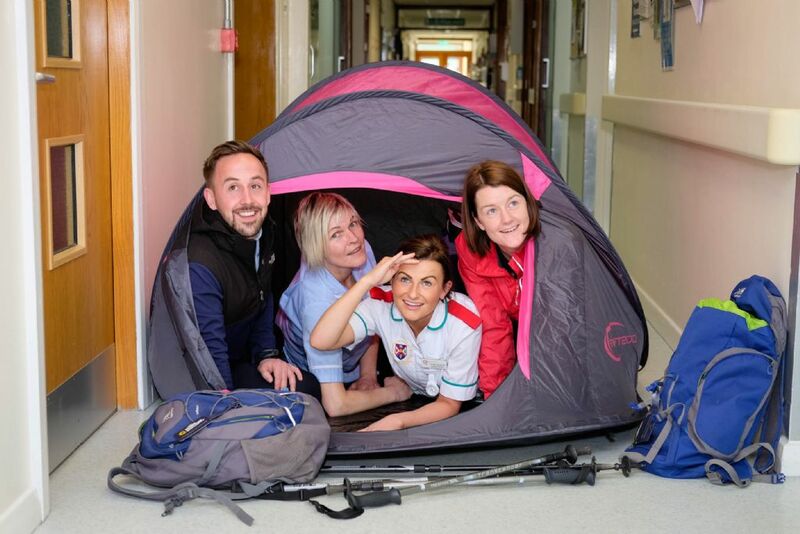 6 March 2018 Southern Area Hospice Services are inviting adventurous souls to join them on their next overseas trekking challenge, which will take place in Cambodia from 19th October - 27th October 2019.